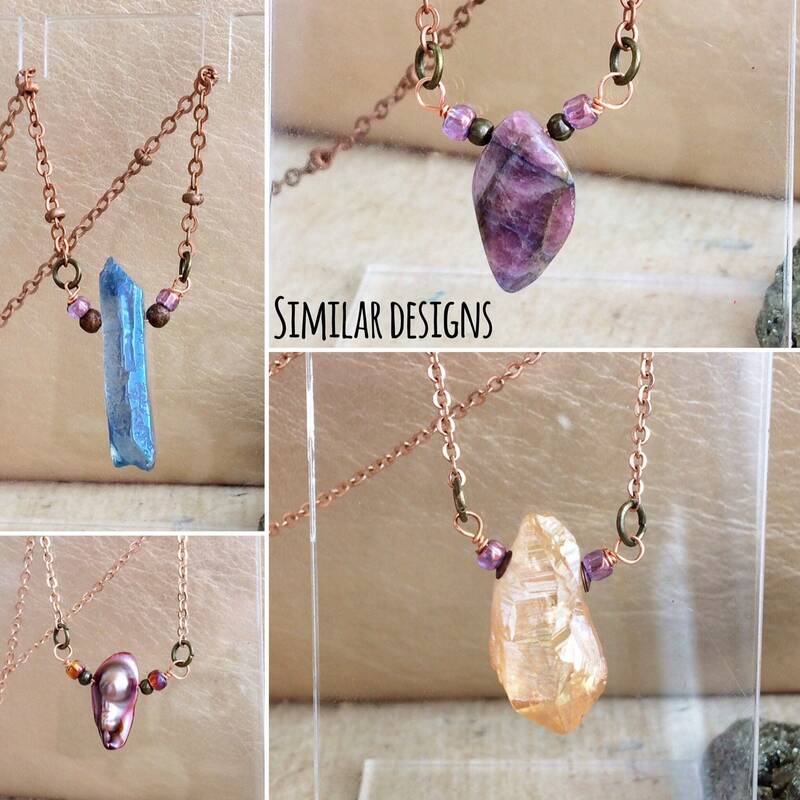 A choice of two beautiful rose gold and copper necklaces with purple semi-precious pendants. 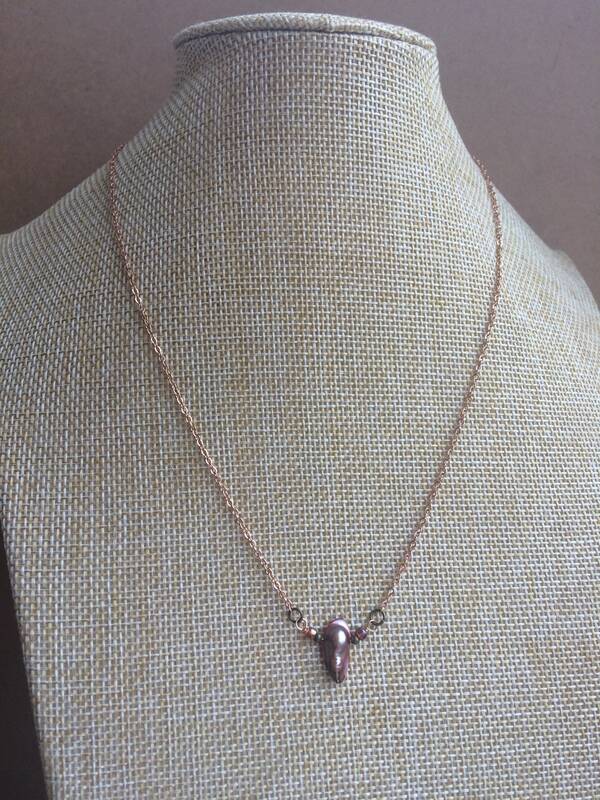 It is matched with metallic pink seed beads and copper metal beads. It is wire strung with rose gold wire and attached via antique gold coloured jump rings to a curb chain. The chain is a rustic red copper colour and has a decorative ball curb pattern. The length is 42cm and it has the addition of a 4.5cm rose gold coloured larger link extender chain meaning the fit is adjustable. The chain is 44cm long with 2mm links. It closes with a 8mm lobster clasp. 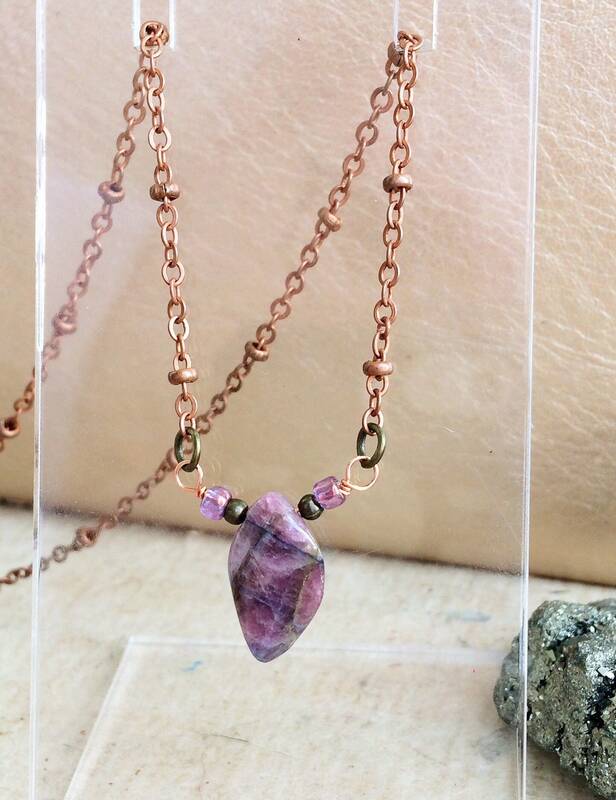 This is a beautiful specimen of raw tourmaline made into a artisan beautiful necklace. 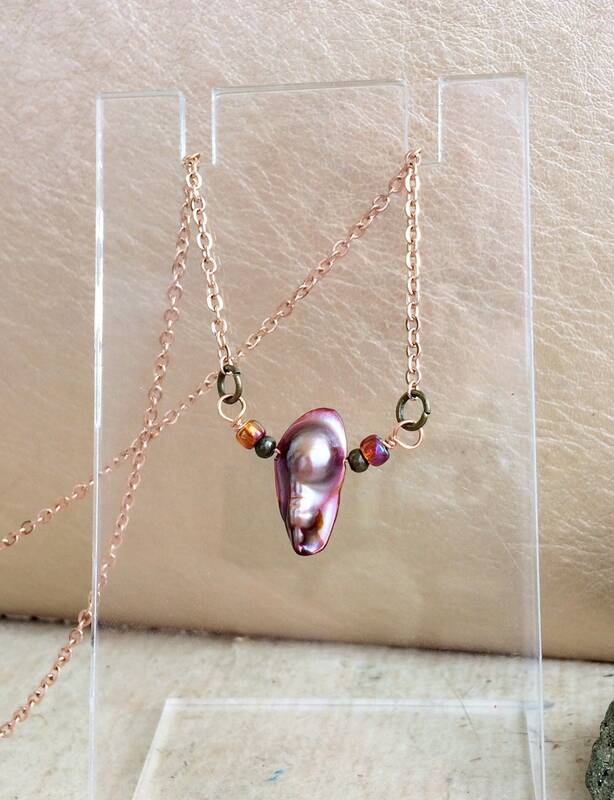 The second design (shown in pictures 2 and 3) has a purple, copper and mauve coloured biwa freshwater pearl. 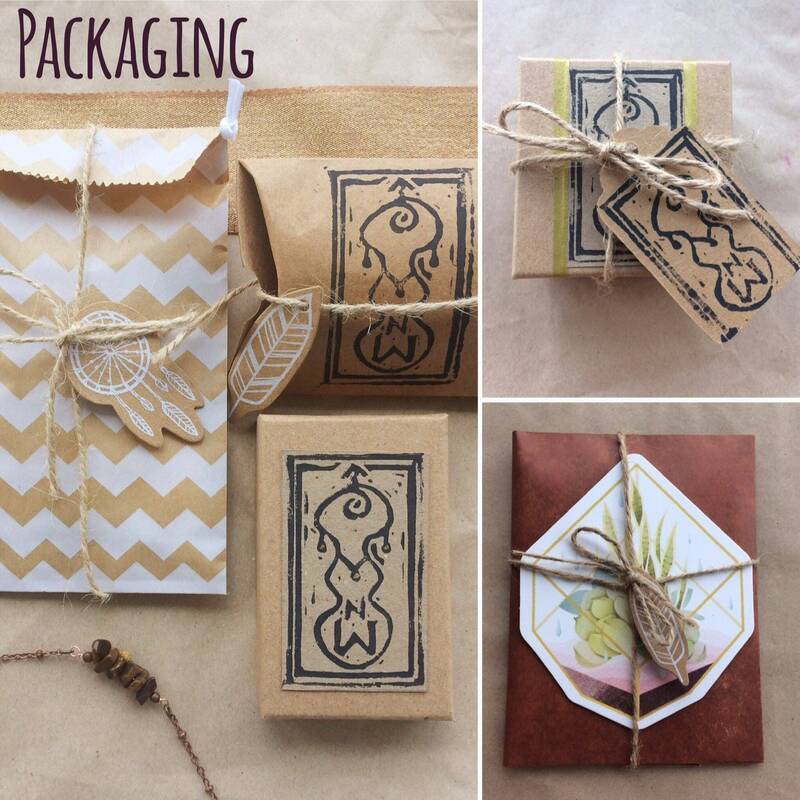 It has a stunning opalescent lustre, meaning it shimmers beautifully in light. It has the organic shape of a cultured freshwater pearl and is sized 15mm long and 7mm thick. The chain is 44cm long with thinner 2mm links. It closes with a 8mm lobster clasp. Please select your preferred necklace at checkout.